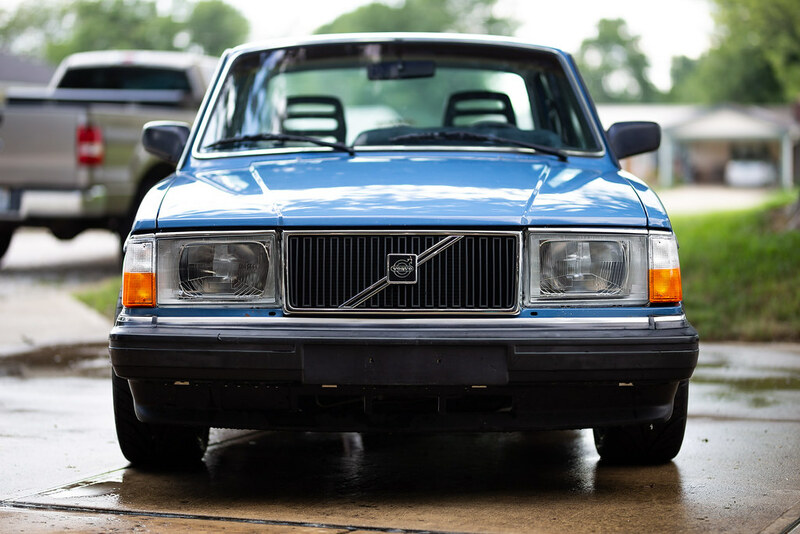 '89 244 - From Low Car To Go Car. Build a leak tester using pvc cap from the plumbing section and a tire stem. cheapest way and it works great. That's what I had in mind and it worked well. got all the leaks taken care of! It builds 20psi no problem, which is a problem within itself. Seems the wastegate can't keep up. While this setup has been fun for the summer, it's time to move on to bigger and better things! I'll be ditching the T5 in favor of a TH400 since I don't think the T5 is going to like the new power goals. I'm really torn between keeping the redblock and just swapping in an I6 whiteblock. I'll be shooting for ~450-500whp next spring. I'll have to do more research on how well the B230 will withstand that power. I have a MS3pro Ultimate ECU sitting on my desk, which will be plenty for either engine I decide to go with. Rear end will be swapped for a beefier unit as well, however I'm still undecided on which I will use. Last edited by TurboDenny; 03-15-2018 at 11:45 AM.. It's put back together again! Really lost interest in this thing over the past few months, but it feels great to see it rolling again! Just a stock redblock and M47 for now while I figure out the whiteblock swap. Added some ATS brakes, 25/25 sways, E-code headlights, and new wheels. 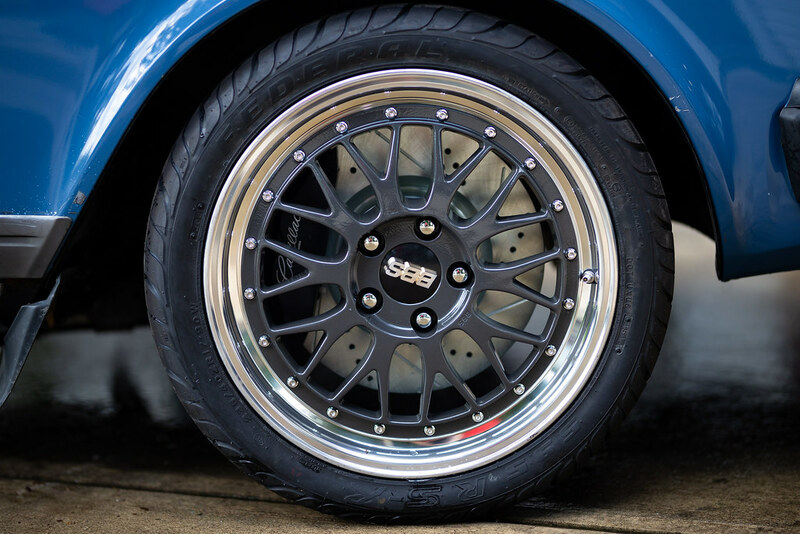 17x8/9 et2 BBS LM with 235/40R17 Federal SS-595 rubber. Cut 2 coils out of the front, and 0 rear. Really needs coilovers to sit right, but it handles surprisingly well right now. Really nice looking car. Brakes definitely fill up the wheel. 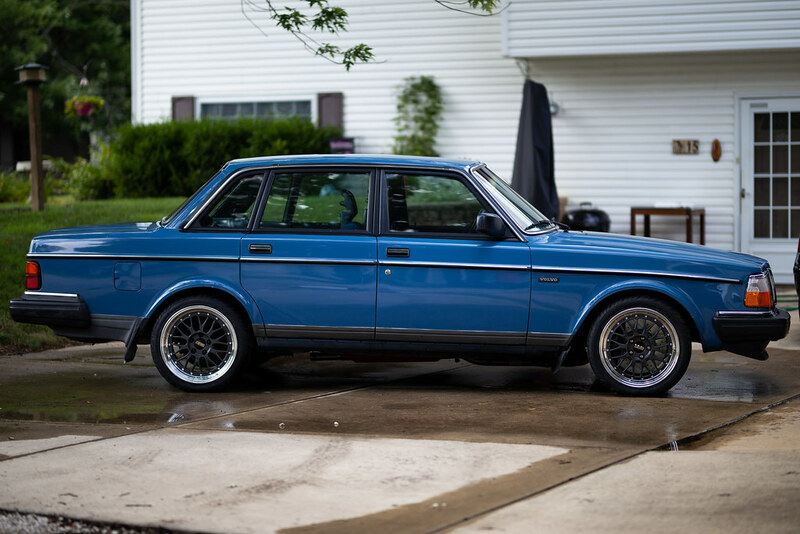 What's the name/manufacturer of those white steelies? I've been looking for something like that in 5x108 for ages! TH400 makes me sad... TKO would hold up. You're not wrong, but I will be going for more of a street\strip car, and consistently rowing gears down the 1320 is a challenge. 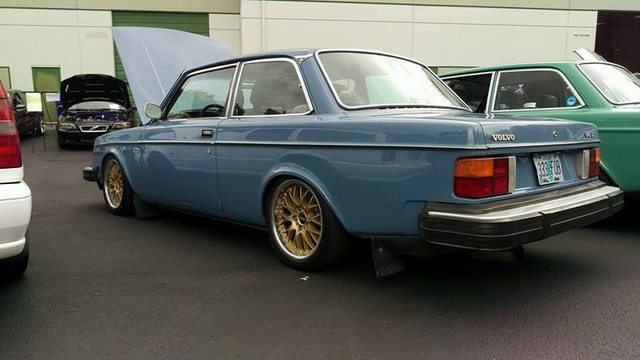 I'd like to pick up a 242 eventually and make it handle well. Started working on the T6 swap. Received my bellhousing adapter for the TH400 last week from KL Racing, and am currently working with Roger Dee to get an adapter made up for the torque converter. Also trying to find a 960 semi-local to yank the engine out of for the rest of the swap parts. Once I get the oil pan I can start mocking things up and fabricating engine/trans mounts. I think I'm going to make a new trans tunnel to fit the TH400, driveshaft loop, and clearance for a 1 piece driveshaft. We'll see how close it is. 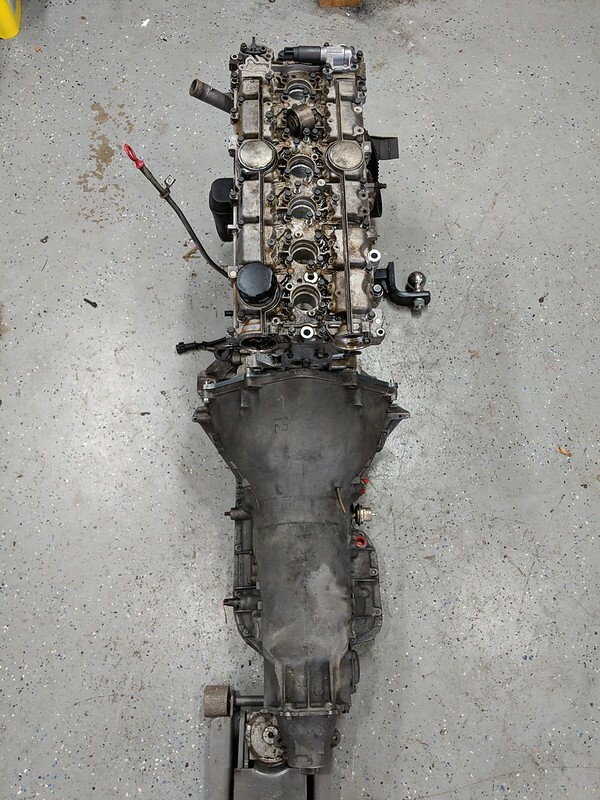 That bellhousing looks awfully wide. Will it even allow a decent size down pipe past? I don't know why you'd need a new trans tunnel, it'll be the same bellhousing as every LS/SBC swap on here. 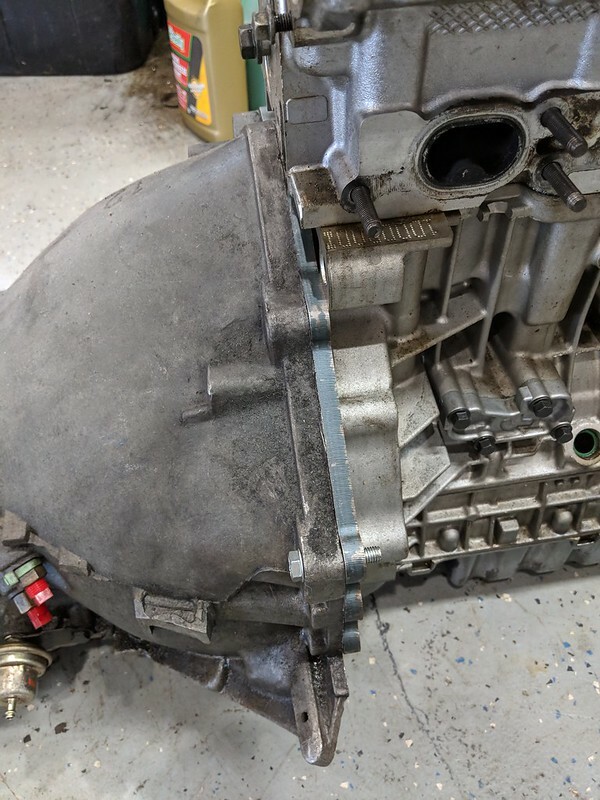 Edit: what's your plan for the oil sump since you're going vertical on the motor? Going to mod it at all or leave it be? Last edited by Hank Scorpio; 08-21-2018 at 09:17 PM..
We'll see. I'm mainly concerned about the driveshaft. I'm going to use a 1 piece aluminum shaft. Would also allow me to set the engine back a little further. Like I said, we'll see. Haven't thought about the oil system yet.